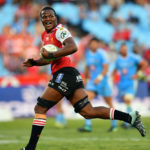 Aphelele Fassi says the Sharks will be focused on improved ball retention in Saturday’s clash against the Rebels in Durban, writes CRAIG LEWIS. Sharks fullback Aphelele Fassi will miss their match against the Vodacom Bulls in Pretoria on Saturday after suffering a concussion last weekend. 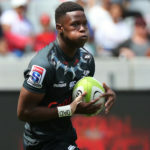 Highly regarded youngster Aphelele Fassi is set to make his Vodacom Super Rugby debut when the Sharks face the Sunwolves this Saturday, writes CRAIG LEWIS. Sharks wing Aphelele Fassi says he is taking every opportunity to pick the brains of the team’s senior players in his first year of senior rugby. Sharks coach Robert du Preez has made two changes to his starting XV to face the Pumas in Durban on Friday. 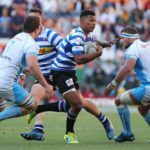 Sharks coach Robert du Preez praised Aphelele Fassi after the 20-year-old’s impressive Currie Cup debut against the Blue Bulls. Sharks coach Robert du Preez is looking forward to seeing some of their younger players come through in the Currie Cup this season.